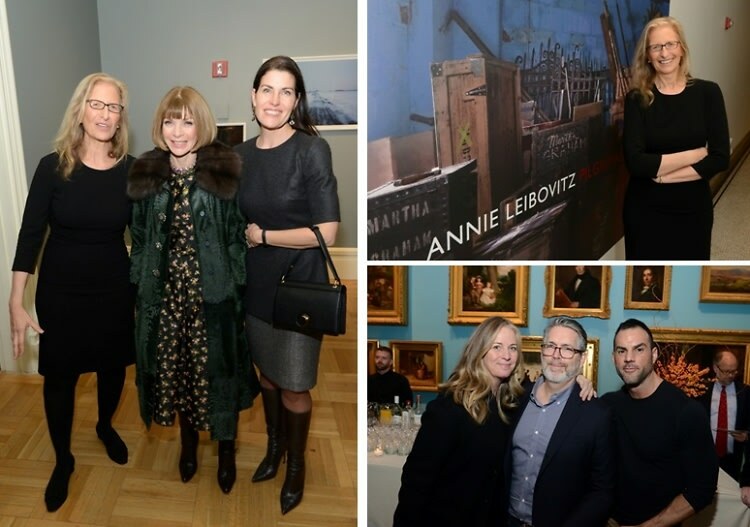 Last night, guests attended an opening reception for Annie Leibovitz hosted by The New-York Historical Society. The exhibition features over 70 photographs, inspired by historical figures including Ralph Waldo Emerson, Georgia O'Keeffe, Robert Smithson, Elvis Presley, and more. Anna Wintour and Grace Coddington were among the guests in attendance to celebrate Annie's impressive career. Who was there: Guests included Annie Leibovitz, Grace Coddington, Jessica Diehl, Joseph and Diana DiMenna, Jane Foley Fried, Anna Wintour, Tom Wirtshafter, Louise Mirrer, and Pam B. Schafler. Anna Wintour• Annie Leibovitz• Grace Coddington• New York Historical Society• Jessica Diehl• Louise Mirrer• Joseph and Diana DiMenna• Jane Foley Fried• Tom Wirtshafter• Pam B. Schafler.